Lowering in consumption of cement. Underground concrete. Structural elements. Paver blocks. Lean structural concrete. 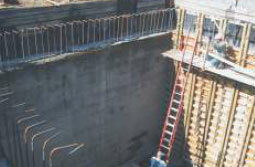 High rise concrete casting. Dosed between 0.3% and 0.6% by weight of cement. Maximum 1.0% at extreme climate. KEM PLAST 200 is based on a lignosulphonate. Supplied as a brown liquid it is instantly dispersible in water. It produces more cohesive workable concrete at constant water/cement ratio with slightly improved strength or can give higher strengths at the same workability or can give cement savings upto 15% at the same water/cement ratio, workability and strength. 0.10 - 0.30 litres/50 kg cement, an optimum dose of upto 0.50 litre/50 kg cement can be used depending on specialcircumstances (Hot weather concreting). It can provide upto 15% reduction in free water without loss of workability, resulting in reduced permeability and early strength gain. Can also be used to give cement savings. It gives extended workability which is useful when concrete is transported in ready mixed trucks and for avoiding cold joints. 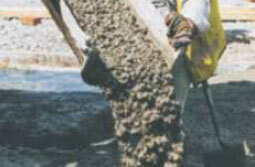 KEM PLAST M is used to improve the workability of cement mortar and prevent shrinkage cracks. 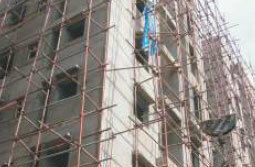 KEM Plast M also improves adhesion and durability of plaster. Dosed between 0.3% and 0.4% by weight of cement. Plain cement concrete. Plaster mixes.